Walter W. Zeigler's Sons, Inc. Serving York County for over 60 years!! 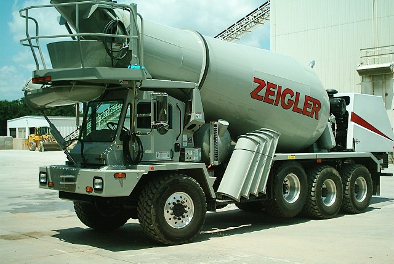 "Quality and Service that Satisfies"
Walter W. Zeigler's Sons, Inc. has a proven record of excellence in concrete mix designs and concrete delivery. As a leading provider of ready mix concrete, we take pride in offering the best concrete mixes and service in York county. We are dedicated to serving the needs of our customers each and every day. With sixty plus years of experience we have a long history serving the commercial, industrial, agricultural, and residential markets of York County in South Central Pennsylvania. We are a Penn DOT approved ready mix plant, with Penn DOT approved mix designs. We are located in the heart of York, where Interstate 83 and Route 30 intersect, and are able to serve all of York County and its surroundings. Since 1947 we have placed "Quality and Service" at the forefront of our business. Being members of many organizations and associations we strive to make concrete one of the best options in construction projects. We look forward to serving you with all your concrete needs in York County and the surrounding areas.